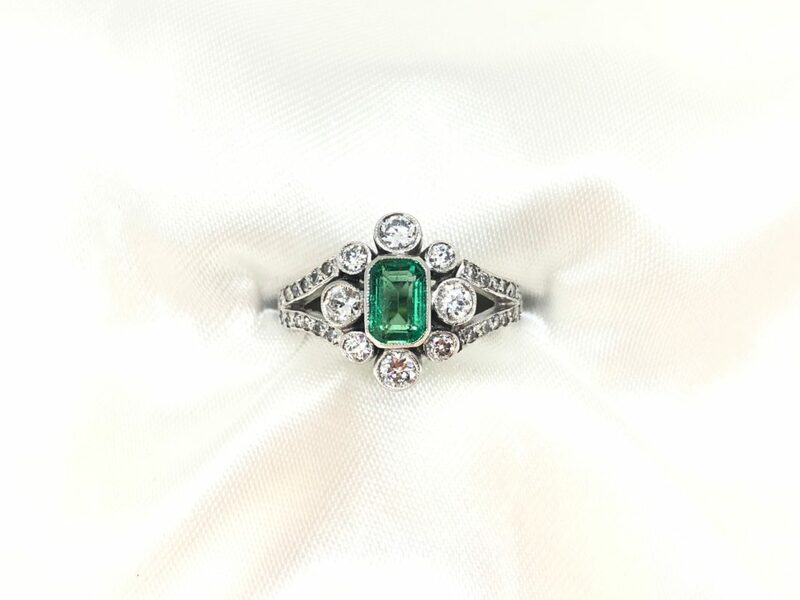 A stunning 18ct white gold emerald & diamond cluster ring. A nice colour 0.65ct emerald cut emerald in a millgrain rubover setting, with a surround of eight rubover set old cut diamonds. There are also thirteen round cut diamonds on each split shoulder. Total diamond content 0.55ct SI1-SI2 clarity, F-G colour. Setting dimensions approx. 13.5mm x 11.8mm. Pre-owned.